Thanks for the link. That meter seems well built but it only reads ESR. I´m buying and recommending the other one because it reads lots of other stuff. I built one years ago and still use it. The principle is very simple. It consists of a square wave oscillator running at a fixed high frequency. Then it goes a through a passive lowpass filter (or some diodes, can´t remember) to fake a sinewave. The osc output then goes through a small mains 220/12 transformer used for stepping the signal down to a very faint level. (If the cheap ebay meter outputs a test signal as low as this, it will be capable of reading in circuit). 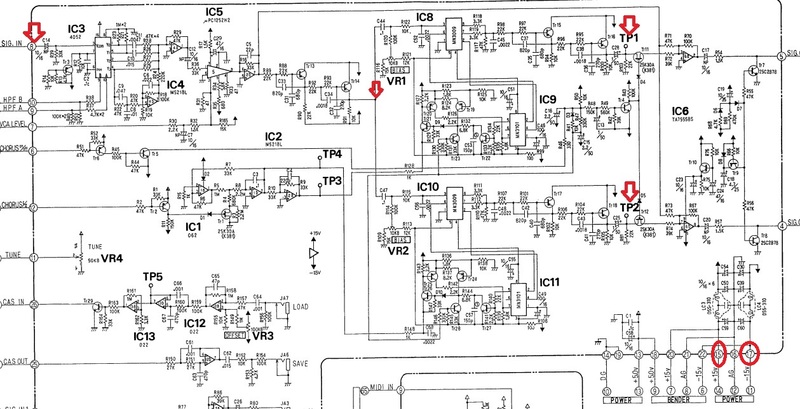 Then the return signal is read by a microamp meterand that´s it. Caps are reactive. The higher the frequency the more they will appear as a short circuit to AC. You can regard DC as just an infinitely low frequency AC. The rest is simple: to calibrate the uA meter we short circuit the test probes and move the needle to maximum Amperage. This equates to zero Ohms, or the lowest ESR possible. Then we use a 1 ohm resistor, and the needle should move bit to the left, then a 2 ohm resistor and the needle moves another bit, and so on. Simple and effective. Of course the uA scale is now an ESR scale and must be redrawn, but I´m not very good with graphics. I just use it intuitively and just KNOW when a cap is good or not by looking at the scale. I can post some pictures of it later. Goodmorning Mooger5 and thanks for the explanation it was very informative . While it is a very helpful tool, due to its automatic nature, it can not be forced manually into reading ESR or test a specific component type. What I mean is when you use it in circuit, the surrounding components affect the test results and most of the times it does not recognize the capacitor under test or misidentifies it as another component, so it does not display its ESR. I see. Theye fully automatic. Thought you could tell the meter whst tests to run. But it instrad scans the zif terminals to guess the component type. The voltage used by a incircuit esr mtr has to be lo enougj to prevent it from triggering adjacent components to the cap under teston the pcb. Since the auto tester is designed to detect semiconductors as well, it does exactly the opposite. Btw that meter you linked to is not as expensive as some I have seen. The gadget I built is mostly from salvaged parts but still had to pay for the ampmeter, the project box and the probes. Add to that a few hours of work and the usual hassle and that ready made tester now looks a worthy investment. Unfortunately there is no way of testing components manually. I got mine for $7 , 3 years ago and it upgraded my workflow. Just like you said, I made an adapter with 3 probes ( parrot clips) and I am using it to test components in circuit , especially transistors. I had some problems with power MOSFETS which were not identified, but this was due to the unit not having enough power to turn them on. It is great for quickly testing salvaged parts, although big capacitors need a few more seconds to get a reading. Best $7 ever spent ! Ordered the last batch of replacement parts. 80012As, 5534s, bender faders, foil caps, etc. Once they get here from the US this will hopefully result in both units singing. Good luck LT, let us know how it goes ! Unit #1 is fully populated with restored original chips and calibrated. Will work on Unit #2 tomorrow. Unit #2 will have AR waveshapers and original 80017As. Things rarely go as planned. I've restored enough 80017As to populate the second unit, but unfortunately, it seems the Jack board is playing up. No sound whatsoever on either MONO/STEREO or PHONE jacks. The board doesn't give any sound. Not even the turn-on/turn-off pops. I am guessing the ICs are dead. I am seeing 15V and 5V on the Jack board power connector. I am guessing M5218L ICs need replacement. But that's just a guess. Any tips on how to troubleshoot the Jack Board? 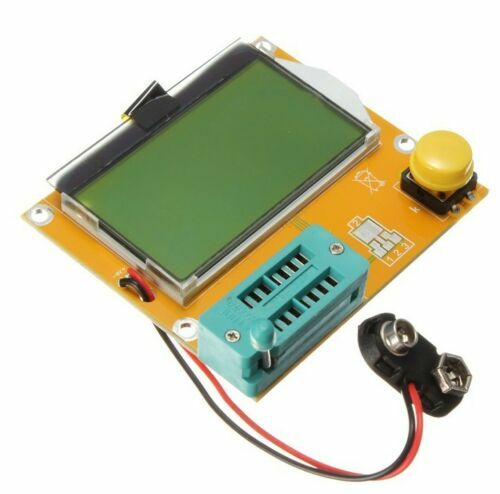 Hi LT , you should confirm that you are getting +15v / -15v on the jack board. Sounds like wiring problem , have you tested the wires and connectors to the jack board for continuity? and trace the signal to these points , so that you can figure out where the signal is lost. I've built a probe. Good idea. I'll make a little box for the components later. It's a nice thing to have. Retested the voltages to the Jack board and to the bender board pass-through. They were there. It quickly became clear something dark & terrible was happening. Yes, it turned out to be a wiring problem. A TERRIBLE wiring problem. One of the wires on the power wiring loom from the power board to the module board was connected incorrectly. It was on the opposite side of where it should be. The connector itself had an unpopulated hole in it and the previous dumbass "tech" probably replugged it for his own, inscrutable, reasons. Anyways. Unit #2 almost works now. I am getting good levels from the outputs. Unfortunately, the Chorus circuit doesn't work. I get crackling on Chorus 1 and almost no chorus on Chorus 2. Not sure how to troubleshoot this. Maybe I should install DIP8 sockets on both machines and see if the MN3009 is dead on the second one? On a more positive note, the Toshiba NAND gates arrived today, I've plugged one into the CPU board and memory now works on the second unit. Also strange is the behaviour of the bender. I've bought a replacement bender pot from Syntaur but it seems to have much less range than the original one on the first unit. Weird. Unfortunately, the Chorus circuit doesn't work. I get crackling on Chorus 1 and almost no chorus on Chorus 2. Wild guess here, test or replace TL062 (IC1) on Jacks board, it could be the culprit. The replacement pot value is not critical, if the wiper outputs +15v to -15V , it means that it works right. Have you cleaned VR3 (DCO Sensitivity) on bender board ? Benders maximum range should be 12 semitones, how much range do you get ? I did a similarly stupid mistake with the CPU connector on the wrong header. Result: 15V all over the place. If you're about to work on a synth and you got prescription glasses, it's highly advisable to #$&$# wear them. If you remember how the connector was attached, try to figure out what voltages were fed to which components. Some can easily die of overvoltage and wrong polarity. The connector pins on 106 headers aren't easily removable and looked untouched. Who would have thought the previous idiot tech would remove one and reattach it elsewhere. Nothing to do with my *#':' vision. I did not assume such high levels of idiocy on his part. It wasn't the wrong header. It was a deliberately moved pin within one header. Thats some f***ed up stuff right there. Makes you paranoid. Replacing IC1 and C3 on the Jack board fixed the Chorus. Now I just need to do some clean-up on the 80017A chips and recalibrate Unit #2.